The plaintiff, a 37-year-old man who says he was molested in the 1980s by his scout leader, says 1,000 Boy Scout “perversion files” show years of abuse cover-up by the organisation.The Scouts say they kept the files to prevent known abusers from participating in the organisation. But, for the first time since 1980, an Oregon jury will see the documents and judge for themselves, the AP reported. “The Boy Scouts of America ignored clear warning signs that Boy Scouts were being abused,” Clark said. The 37-year-old plaintiff is seeking $14 million in damages; he says he was abused by Timur Dykes, who “was convicted three times between 1983 and 1994 of sexually abusing boys, most of them Scouts,” the article said. This is a case that will get, for good reason, a lot of attention. 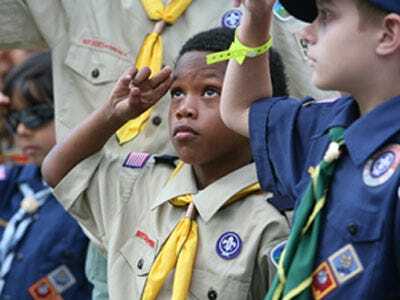 Did the Scouts know abuse was occurring and hide it or look the other way? Did it fail to report abusers to authorities? Or are all the documents nothing more than files prudently kept to keep known sexual predators away from children? All of those questions are on the table in the trial.